Are you the kind of crafter that dabbles? You might sew and knit and make jewelry? Well then F&W Media has a magazine for you. 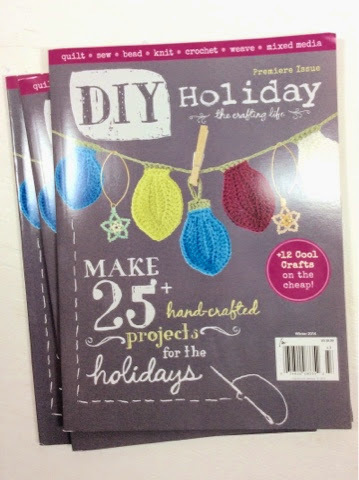 The premier issue of DIY Holiday is out with 25 projects to satisfy all your crafting impulses. This magazine has super cute projects to make and give for sewing, quilting, jewelry making, knitting and crochet. 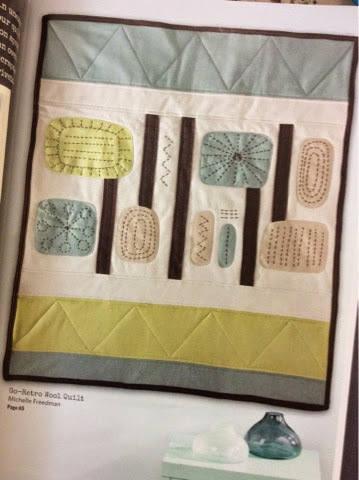 There is even a super cute retro quilt by our own Michelle Freedman! Win one of three copies at our holiday meeting on Thursday, December 11—just in time to make some holiday gifts for yourself or others! Looks like a fun magazine! I'll have to check it out!